My recent Fulbright experience led me to Spain for very scientific objectives. I went to research a disease known as Chytridiomycosis, which has proven to be a major threat to amphibian species around the world. Before my Fulbright grant, my long term study of alpine amphibian populations infected by this rapidly-spreading disease offered me important new insights into the disease’s ecological dynamics. Some of the most valuable and unexpected discoveries I made during my Fulbright experience, however, were not scientific nor were they found at my field sites. My most profound experiences came from close contact with Spanish culture in small towns that see few foreign visitors. Spain abounds with historic villages in all of its regions: from the sunny and warm coasts of Andalusia to the mist-covered mountains of the Pyrenees. Each village has a distinct character, history and atmosphere. After moving from the urbanity of Madrid to these rural regions, I became hooked on everything “de pueblo” (from the village). This single Spanish phrase, though seemingly short and insignificant, denotes a myriad of qualities and characteristics about a region, its people and its landscape. For me, the descriptor always conveyed something positive. Romantic, pastoral landscapes boasting herds of sheep and long rows of grapevines serve as a quintessential “de pueblo” scene. Long, unhurried Sunday afternoon lunches in the company of close friends and family undoubtedly exemplify a typical “de pueblo” activity. A corner bar hosting a native clientele who hovers over wooden bar tops while snacking on cured ham and sipping a small glass of beer embodies the epitome a “de pueblo” atmosphere. Eating chorizo and cheese at ten o’clock in the morning is very “de pueblo.” My friend’s white-walled farmhouse in Andalusia’s olive country could be considered “de pueblo.” The narrow, winding cobblestone avenues enclosed by tile roofed and stone walled buildings in Segovia’s Jewish sector paint a scene that is definitely “de pueblo.” The cranky bartender at a rustic restaurant in an Asturian Mountain village who hesitatingly served me and a research colleague drinks was undeniably “de pueblo.” At once, this commonly used phrase suggests simplicity, authenticity, antiquity, family and a lifestyle not found in the city. 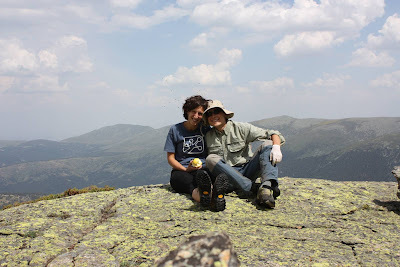 Photo: Dave Daversa, 2008-2009, Spain, and his co-researcher Saioa Beaskoetxea at one of their field sites in Penalara Natural Park located in the Sierra de Guadarrama Mountains outside of Madrid. During my first visit in 1988, Haiti was brimming with expectation. Though Michèle and Jean-Claude (Baby Doc) Duvalier stripped the country of its museum quality art, depleted all of its financial resources and left the people to fend for themselves with no government programs or working institutions, there was a feeling of hope. Inspired by that feeling of hope, I completed my doctoral work at Temple University focusing on the three dominant Haitian newspapers in the United States, applied for a Fulbright and was off to Haiti in 1990. Haiti was wonderful. I walked freely about, toured the countryside, interviewed journalists and discussed the free press on radio shows. I met up with two friends at the Hotel Oloffson and took a weekend jaunt down to Jacmel on the southern coast. We climbed up to Bassin-Bleu to swim in the waterfall. We hiked down to find two flat tires. The guide and I volunteered to roll the tires into town while my two friends kept watch over the car. We found a limb to hold the tires up on our shoulders and to help us when we had to forge a river. Finally, we tucked in for the night at the famous La Jacmelienne Hotel. On Sunday during our return to Port-au-Prince, we stopped for soursop. I asked Hotel Oloffson’s bartender to make it into juice for us. It was late, so rather than return to Hospice St. Joseph, where I was renting a room, I stayed in the Hotel Oloffson’s maternity wing when it was still a military hospital. That night, Haiti changed. In the middle of the night, there was shouting and I smelled smoke. Stepping out onto the breezeway from my room, I could see smoke. I stumbled into the hotel lobby where the guard flew by me shouting, “Coo, coo!” In a few quick minutes, I learned that there had been a coup d’état. Jean-Bertrande Aristide had been elected that fall but one of the prospective hopefuls, Dr. Roger Lafontant, who once led the Tonton Macoutes under Duvalier, wanted the presidency. Five days later, after mobs had stormed the hotel and camped out on the lawn, the U.S. Embassy sent an armored car at the request of Representative Floyd Spence of South Carolina. I was taken to the Embassy, processed and then escorted to the airport. When the airplane took off, I saw Port-au-Prince burning and cried. Dirty, covered in soot, hungry and exhausted, I made my way back home. That was 20 years ago. I continue to return to Haiti every year. Some friends have suggested that I should not return to Haiti. I have not listened. Some of my work has extended outside of Port-au-Prince in the Fondwa and Deslandes rural areas. I continue to go to interview journalists, to conduct journalism training workshops, write, and have a glass of soursop juice. My work and Haitian friends have made Haiti a part of me. I am not alone. Many others feel a part of Haiti. I believe that with the Haitians’ ability to persevere and outside community support, Haiti will rebuild itself emotionally, financially and spiritually. Earthquakes may shake buildings, kill many, damage much, but Haiti’s spirit will live on and on. 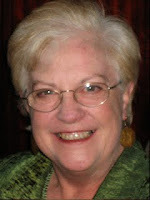 Photo: Dr. Leara Rhodes, 1990-1991, Haiti.